This past September while hunting coyotes near my hometown in southern Missouri, I positioned myself next to a large oak tree overlooking a cow pasture. The weather conditions were unfavorable because of unseasonably warm temperatures. There was an intense struggle to see a mere 50 yards due to heavy fog. Prior to setting down, I had placed a FOXPRO Shockwave electronic game caller at 30 yards on top of a small stump. Before starting a calling sequence, I turned on a decoy that was attached to the top of the caller and after a few short minutes of calling, a coyote appeared out of the fog. When I first witnessed the hungry canine he was only a few yards behind the caller and his eyes were locked on the spinning decoy. I quickly put my crosshairs behind the front shoulder, and squeezed the trigger. Unfortunately, my bullet scaled over the top of the coyote causing him to bolt back into the fog. I was grateful for a chance at a 2nd shot as he was running away which turned out to be successful. With the heavy fog that morning an animal could be there and gone in the blink of an eye due to the inability to see as far as normal in foggy conditions. If not for the decoy catching his attention, I might have missed him completely. If you've never had the opportunity to use decoys while predator hunting, you may be missing out on some exciting action. Below are a few questions you might be asking and a tip or two to help you think about the advantages of using a decoy especially if your hunting a predator. 1. 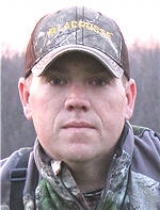 Why Use Decoys for Hunting? Answer: No matter the kind of decoy whether it be deer, turkey, duck, or predator they're all designed to do the same thing, which is to attract the animal to a specific point, keep the attention off of the hunter, and to add realism to the situation. All of these situations are to keep an animal at a desired distance so the hunter is able to make a harvest. Predators are known to come into an opening when answering calls, and they usually will sit down to observe the area before coming in closer. Using a decoy catches their attention making them curious want to investigate. 2. What Types of Decoys are Best for Hunting Predators? Answer: There are several types of decoys to use while calling predators. Here are the three that I focus on. Prey Decoys: The Lucky Duck Quiver Critter decoy which resembles an injured rabbit. This motorized decoy produces an irresistable, realistic quiver and shaking movement to peak predators curiosity while investigating your calls. There are several different rabbit decoys on the market, some of these decoys look like an actual rabbit with no movement, and others have movement such as the above stated Quiver Critter. Coyote Decoys: The last type of decoy is an actual coyote decoy such as Montana Decoy Inc. Kojo Collapsible Coyote. This decoy looks like an actual coyote, which triggers a coyote's natural territorial instinct instead of stomach. Combined with shrill predator calls of distressed prey, the Kojo Coyote decoy is photo realistic and lowers a coyote's defenses, helping encourage it to investigate further. Coyote decoys can also be used during the breeding period to attract a mate. Attachable Prey Decoys: This type of decoy is made to attach to an electronic caller. An example of this type is the FOXPRO FoxJack 2 Decoy. This type of decoy creates more movement with a cord like base that has fabric on the end to resemble injured prey. This type of decoy can sometimes be operated from a remote, which allows it to be turned on and off during a calling sequence. Check out the video below from FOXPRO demonstrating the FoxJack 2 decoy. Answer: When using a predator decoy, remember that it is no different than when using a deer or turkey decoy. Always make sure to place the decoy within shooting range, typically hunters will place the decoy approximately 25 to 30 yards in front of them. And just like other decoys, place it in an elevated and/or open area so that coyotes can see it from a distance when coming to a call. Tip: Make sure to spray the decoy down with a scent elimination spray such as Scent A Way Bio Strike odor control spray. This prevents a coyote from spooking when approaching the decoy. Decoying predators is something that can be done no matter the time of year. Not only is using decoys a fun and entertaining way of hunting, if it is done right it can help you become a better hunter by fooling some of the weariest coyotes into coming in close to investigate. Decoys help keep the attention off of the hunter, allowing for a successful shot to be made.